Thank you for visiting our web site and for your interest in our life. As Poor Clares, we take a vow of poverty to live on financial donations and to depend on God and the support of friends for the success of our ministry. When you visit our Gift Store or give a donation you support us. We depend on the generosity of people like you to make our life of prayer possible so that we may be your Companions in Prayer. Thank you for helping us continue our prayer for the many needs of our world. We invite you to make your Prayer Requests on our web site, and we will include them in our daily prayers. 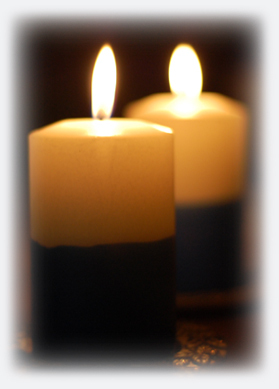 When we light our candle at prayer each day, we remember your concerns. Donations may also be made securely on line by clicking on the PayPal link below.